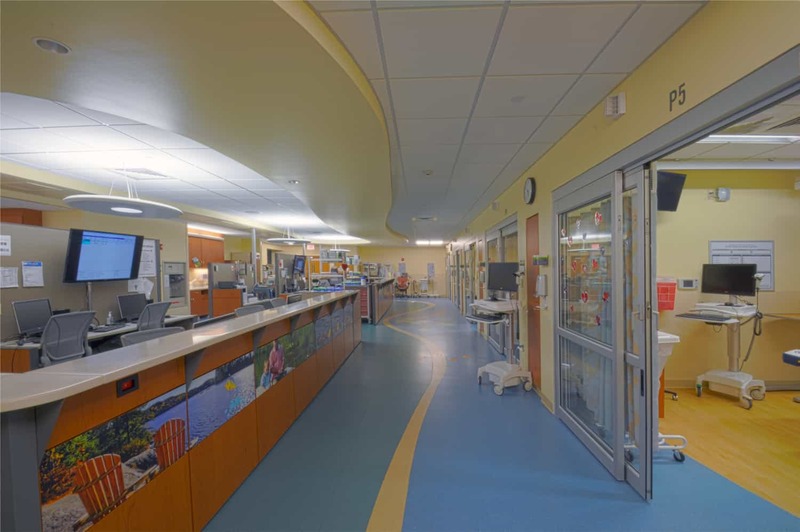 To improve the flow of services, increase capacity, and enhance efficiency within UW Hospital’s emergency department, UW Health worked with BWBR to design a multi-phased expansion and renovation. The project reorganized and nearly doubled the department’s size, and through careful planning, the ED maintained continuous operations during the entire construction period. 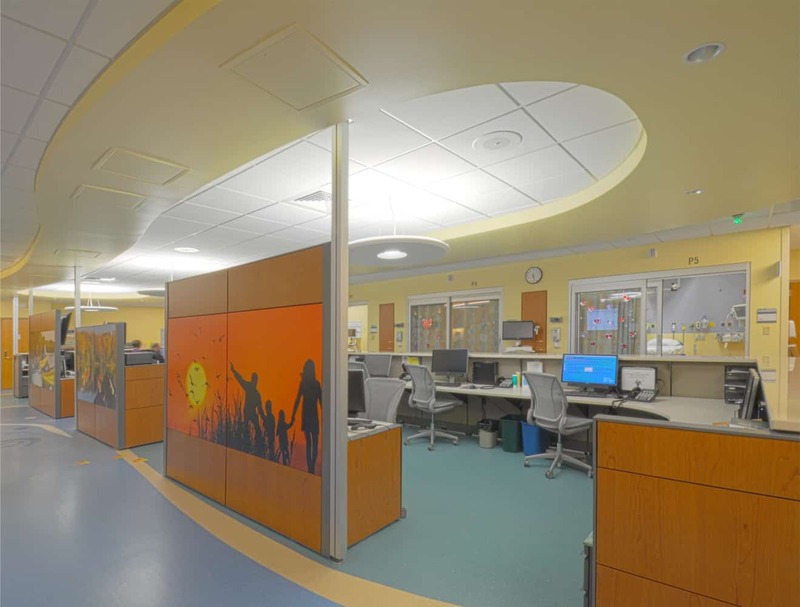 The first phase updated technology throughout the general ED and added a pediatric clinical decision unit. 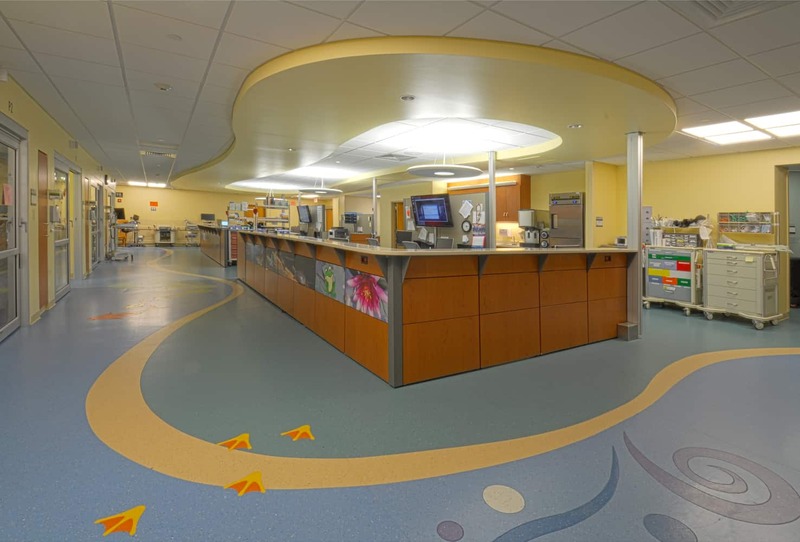 To increase the flexible care area’s room count and add a nurse station and sub-waiting area, the design renovated existing space and expanded into UW Hospital’s adjacent parking structure. A radiology reading room — previously only available on a different floor — was added just feet away from the trauma rooms, providing the opportunity for quick, face-to-face communication between radiology and trauma doctors. Dictation stations were modified to be enclosed in glass, allowing for clear sight lines into trauma while maintaining acoustical separation. 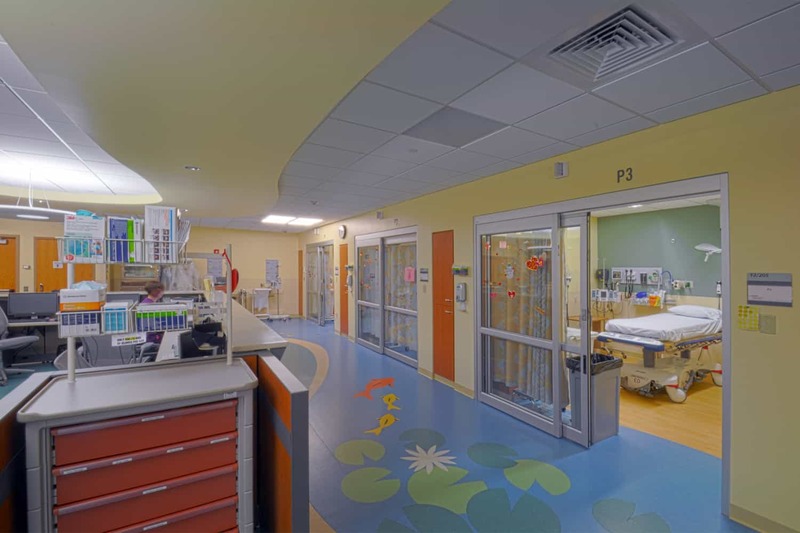 Phase II produced a dedicated, secure pediatric ED, including a pediatric exam addition, a clinical decision unit addition, and a pediatric resuscitation room that can be upgraded to a trauma room in the future. A Department of Corrections exam room was created to safely examine and treat corrections patients separately from the general patient population. New intake rooms have established a linear patient flow through the unit and allow providers to immediately assess patients and order labs, thereby speeding up the care process.